The study of seismic behavior of underground tunnels is of particular importance due to the fact that they are completely enclosed in the soil or rocks and also these structures have a considerable length. Therefore, the seismic response to the tunnel lining requires special attention. Limited research data and extensive spatial variations make it difficult to describe their geological position. Therefore, the parameters governing their design are numerous and their variability cannot be ignored. One solution to this problem is designing and analyzing based on reliability. In this research, the analysis is based on the reliability of the lining system of a small underground tunnel in the soil. Examples such as describing the relationship between tunnel lining and its surrounding environment, lack of access to a function of closed form have been studied. Also, analyzes were carried out in seismic and static conditions, random variables in soil characteristics were taken into account. The seismic response of the tunnel lining is considered for axial force, bending moment and shear force. In this paper, the tunnel lining function (under static and seismic conditions) is investigated by combining the response surface method, the Hasofer–Lind reliability concept and finite element method. 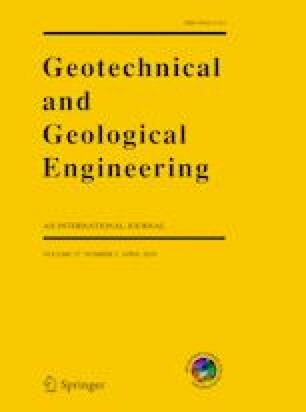 The results of the analyzes show that the reliability index for the response of the shear force of the tunnel lining to earthquake records is less than the axial and bending moment force. As a result, soil and tunnel strengthening is recommended against shear failure under earthquake load.